The Tonahutu Creek trail is in the Rocky Mountain National Park near the village of Grand Lake, Colorado. This post is of the south end of the trail between the East Inlet and the Kawuneeche Visitor Center. This section of the trail probably sees more traffic from horseback riders than it does from hikers. 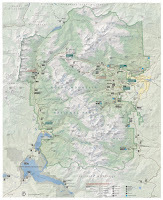 The overall length of the Tonahutu trail is 13 miles. Other sections will be completed in future posts. The Tonahutu Creek trailhead is near the Grand Lake water works building. There isn't any parking available at the trailhead but there is normally ample parking at the North Inlet trailhead that is only a few hundred feet away. Most of the foot traffic on this trail is from backpackers. The same destinations that backpackers are heading to can also be accessed from the Kawuneeche Visitor Center and the Green Mountain trailhead. The trail starts out climbing until it gains about 100 feet of elevation. Within a half mile the trail levels off near the creek. The riding stable at Grand Lake escorts a lot of riders up the Tonahutu Creek trail. This group consisted of about a dozen horses. Yours truly made this very ride some 50 years ago when he was just a boy. Be careful and don't take the first trail junction that leads to the Grand Lake Lodge. If you see any wildlife in the area then you might scout out the first quarter mile of the trail. 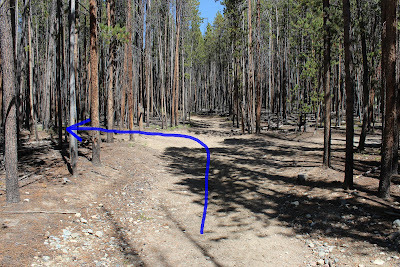 The junction for the trail leading to the Visitor Center is a short distance past the lodge fork. Both junctions have a trail sign so you can feel confident you are going the right way. 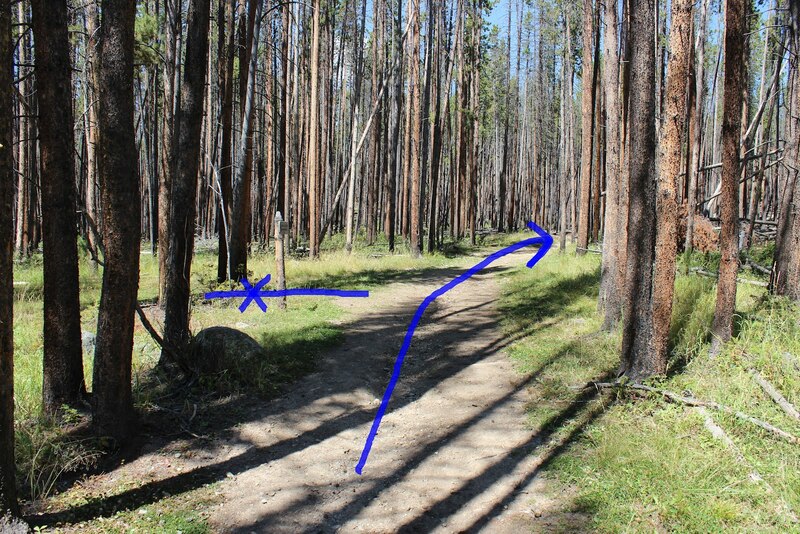 The Lodgepole pine are like walking through a forest of corral poles or toothpicks. Most of these are only about 6 inches in diameter. The photo of this moose was taken the prior evening between the Tonahutu Creek trail and the highway along with a small herd of elk. The hope was to spot the herds the next day in the lush areas east of the Visitor Center but that isn't how it worked out. Unless you want to hike every inch of the Tonahutu trail you probably won't begin at this trailhead. You will probably also be going on a backpacking trip which requires a permit. 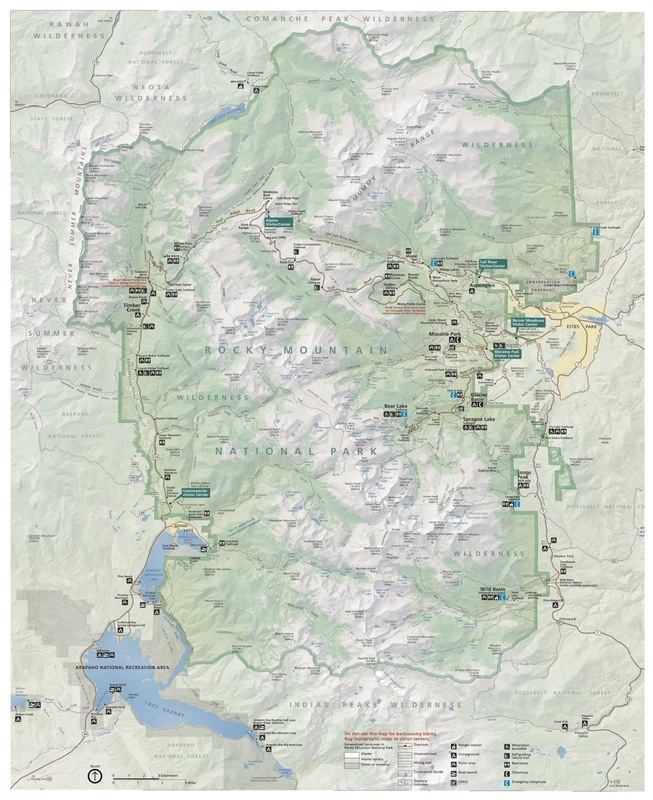 The Rocky Mountain National Parks Backpacking Guide is a good place to begin for planning a backpacking trip. And, just in case you are wondering, Tonahutu, pronounced (ton-uh-Hoo-too), is the Arapaho word for 'meadow'. In this case probably referring to Big Meadow. If you would like to see it for yourself then all you have to do is 'Take a hike'.